A Historical Atlas of Tibet. Chicago: University of Chicago Press, 2015. 202 p. $45.00. 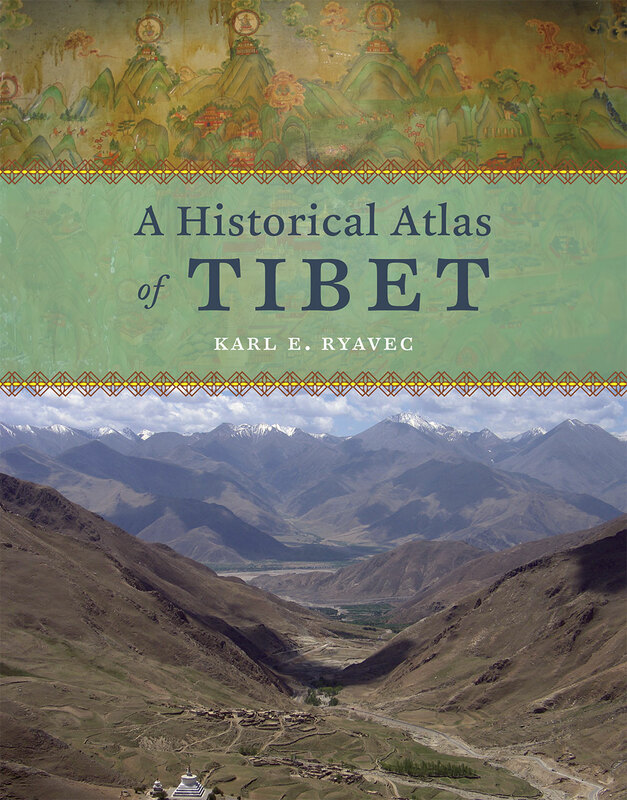 Karl E. Ryavec’s new work, A Historical Atlas of Tibet, is the culmination of 12 years of scholarly and field research plus 8 years of map making, assisted along the way by a host of other scholars from a range of academic fields. It provides the first, comprehensive historical atlas of Tibetan civilization and will serve as a basic reference book for students and scholars. This beautiful collection of 49 double-page maps, mostly in color, spans Tibetan history and culture from the Paleolithic to the beginning of the 21st century. Tibet is placed at the center throughout this volume, not just at the periphery of other political or cultural events. Dr. Ryavec introduces us to Tibet with an opening section that places Tibetan culture in the context of surrounding regional and political influences. Maps in this section provide basic cultural geographic context: trade networks, languages, money, regions, and natural features. I found the map estimating travel time and main trade patterns radiating out from Lhasa circa 1900 especially interesting. The average traveler or pilgrim averaged a rate of 12 miles per day by foot and/or caravan, as animals had to be allowed to graze along the way. Reaching Lhasa from the outlying parts of the Tibetan Plateau took about three months. The first roads for motorized vehicles were not built until the 1950s. The Atlas is divided into four main periods: Prehistorical and Ancient Periods, 30,000 BCE to 600 CE, The Imperial Period, C. 600-900; Period of Disunion, c. 900-1642; and Ganden Podrang Period (Kingdom of the Dalai Lamas). The well-designed maps ably illustrate the flow of Tibet’s history in all of its complexity – invasions, religious and cultural sites, administrative boundaries. A concise explanatory essay, sources, tabular data, and illustrations ranging from ancient texts to modern photographs accompany each detailed and clearly labeled map. Tibet as a whole, with its key central, western, and eastern regions, is the focus of each map in the same Albers equal area cartographic representation. The concluding section discusses natural resources, land cover patterns, population distribution on the Tibetan Plateau, and the modern territorial administration system demarcations in the Tibet Autonomous Region, now part of the People’s Republic of China. The turning point in Tibet’s history came in 1949, when the People’s Liberation Army of the PRC first crossed into Tibet. After defeating the small Tibetan army, the Chinese Government imposed the so-called “Seventeen-Point Agreement for the Peaceful Liberation of Tibet” on the Tibetan Government in May 1951. Outside of Tibet proper, Bhutan is the only independent Tibetan kingdom left in the world today. With a written history of more than 2,000 years, A Historical Atlas of Tibet provides us with an understanding of Tibet’s unique national, cultural, and religious identity, even as it faces an uncertain future. 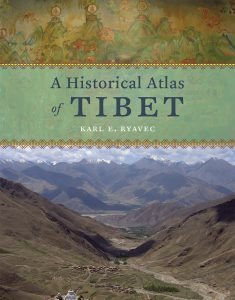 Dr. Ryavec’s scholarship’s offers readers a sense of place from which to interpret and document Tibet’s rich past. This volume will be of interest to a wide variety of academic disciplines and useful to historians, anthropologists, historical geographers, digital cartographers, archaeologists, and religious scholars.